RACE-WORTHY – PFC’s road pads are made with the same process and technology as our championship-winning race pads to give you stopping power that’s worthy enough for the track. 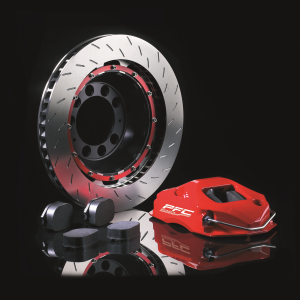 Carbon Metallic ® brake pads are unique in material and process – made of highly ordered Carbon Crystal structure moulded through high density compression and processed though air craft quality heat treatment. These are not run-of-the-mill brake pads.